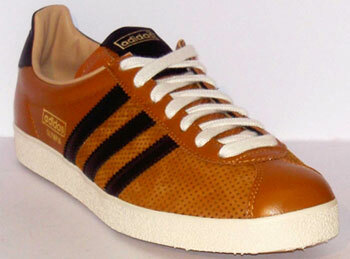 Actually, the Adidas Olympia trainers were first seen in 1964, but the version now available in stores is based on the more commonly seen 1972 version. Indeed, it’s more or less an exact copy of the 1972 Olympia and in the same colourway, made from a leather and nubuck combination, with perforated detail and white synthetic sole. A pair will set you back £65.